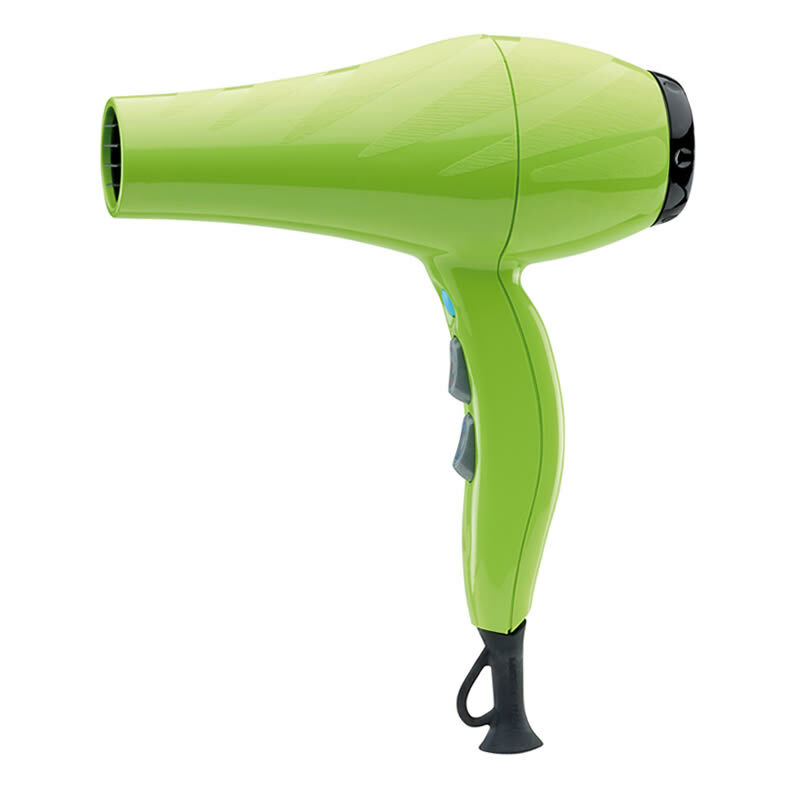 Well-balanced and lightweight Italian-styled dryer. 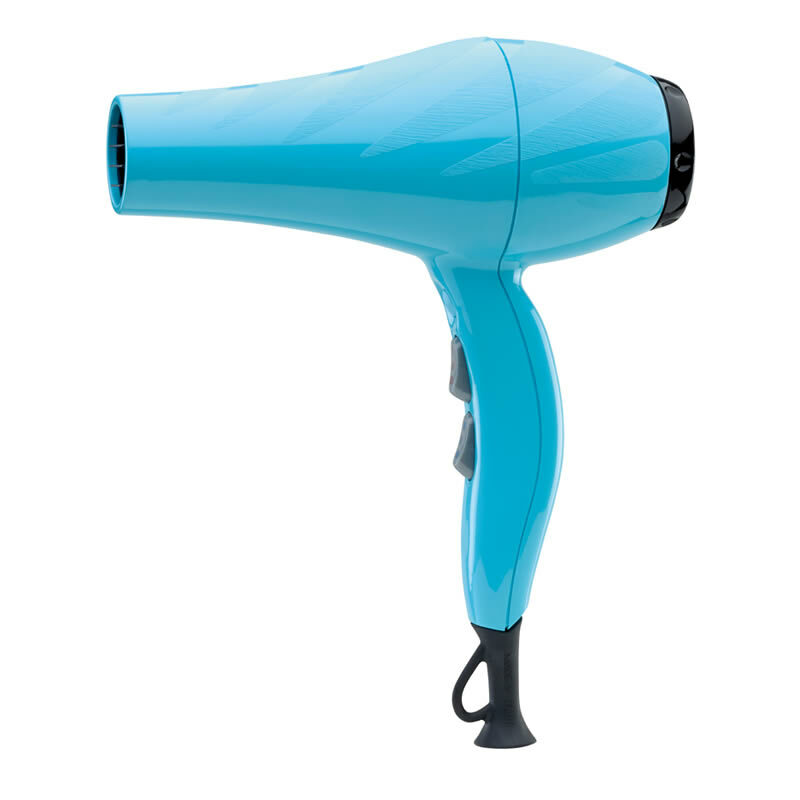 The Gamma Piu 6000 Dryer is a robust machine that delivers an airflow of 97.2 m³/h from a 2000-watt motor. 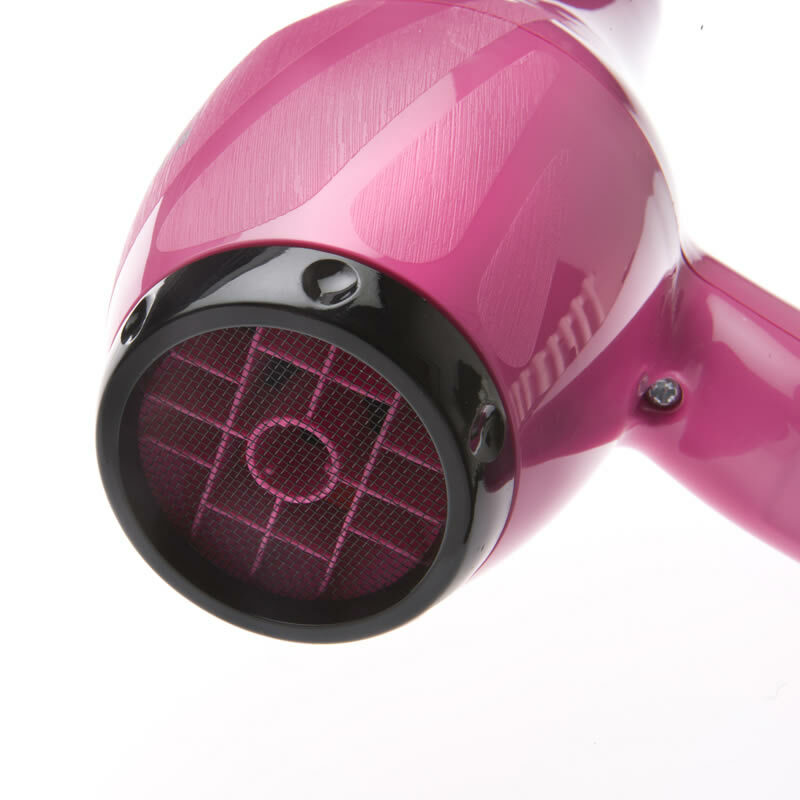 It's very well-balanced and weighs only 530 grams, leaving you able to style client after client! 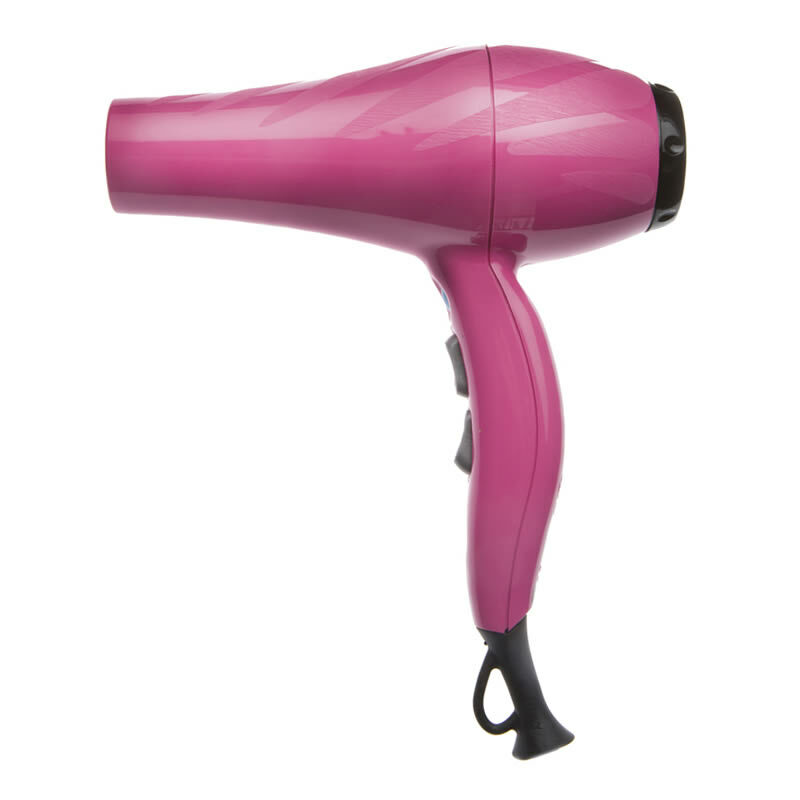 It's classy looks are complemented by a design which sees an ergonomic grip (with switches on the front of the dryer) and a cold shot button to help you set your clients' styles. 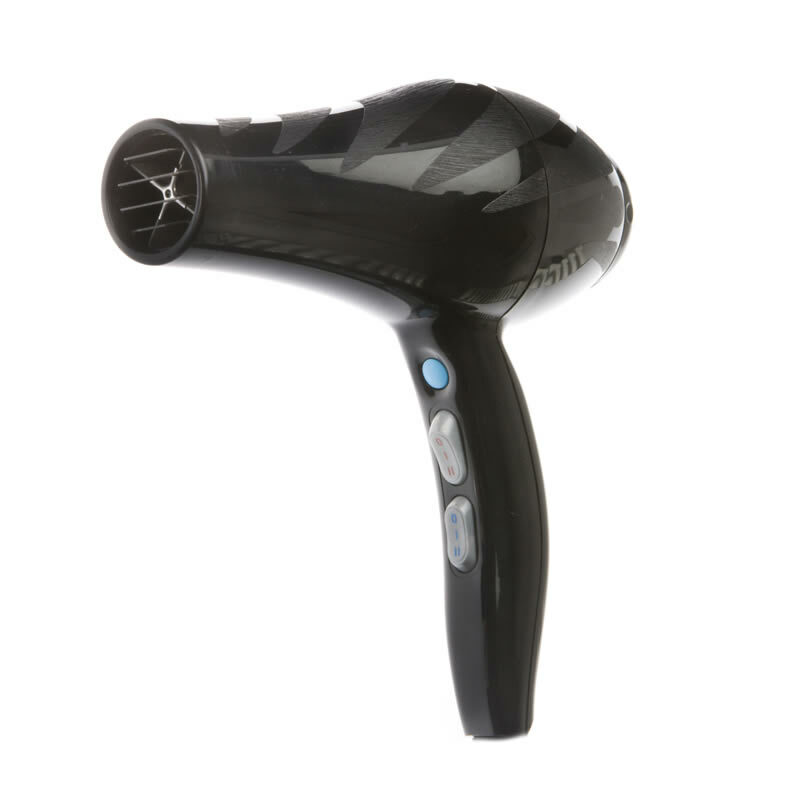 It has 2 speed settings, 2 heat settings and a concentrator nozzle for greater accuracy and control. It also features a professional-length, 3-metre cord attached to the casing by a bell-shaped strain reliever that reduces the risk of the cord snapping. 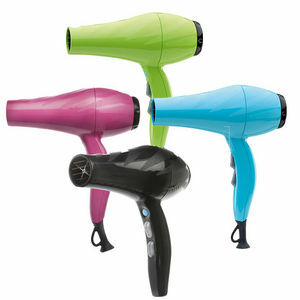 Available in 4 colours: Black, Blue, Green and Pink. Also comes with a 12 month warranty. 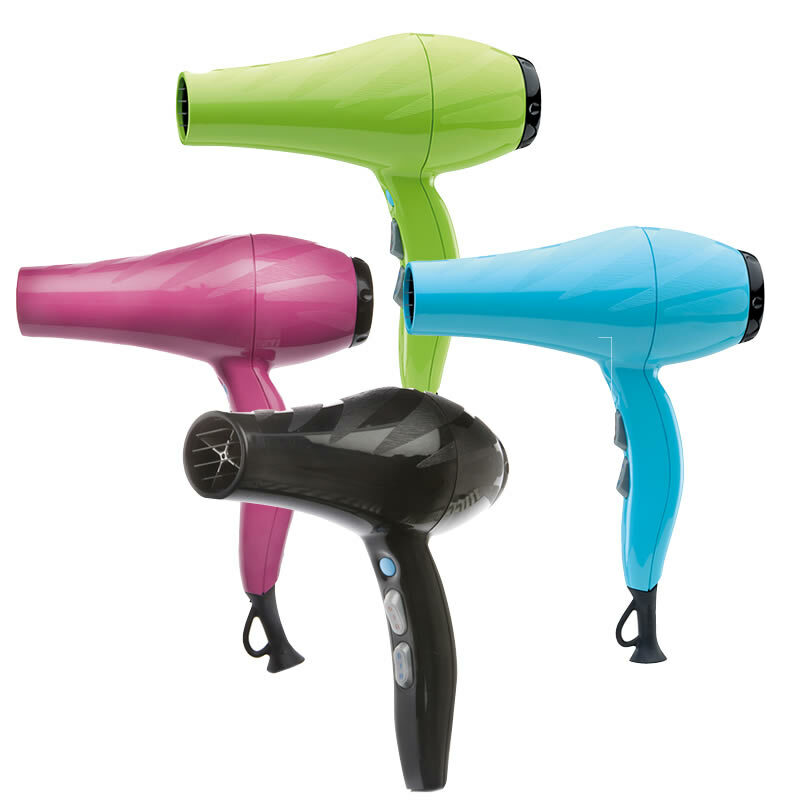 £51.59 (inc. VAT) Why no VAT? We're a trade wholesaler and quote our prices without VAT to help our VAT-registered customers understand the true cost of a purchase.